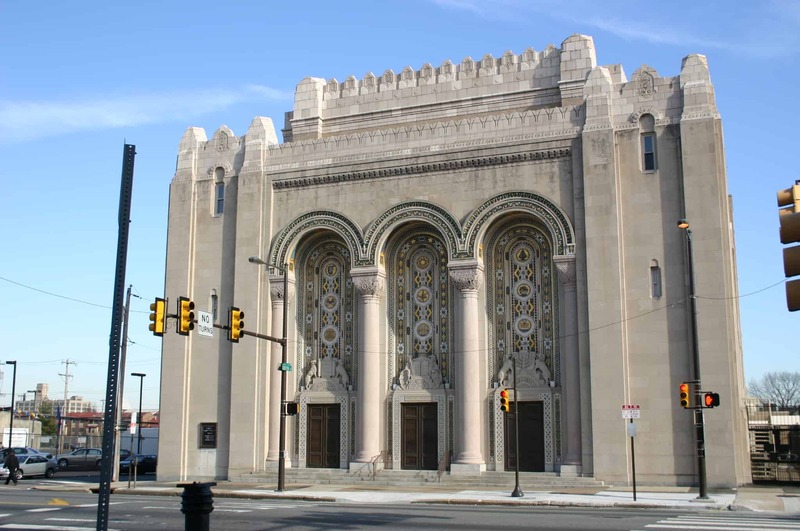 Rodeph Shalom Synagogue, located at 607-615 N. Broad Street in Philadelphia, is notable for its aesthetic design and for its designers. Reflecting a fusion of the Byzantine Revival and Art Deco styles, the building is characteristic of many 1930s synagogues, both in city centers and the suburbs. 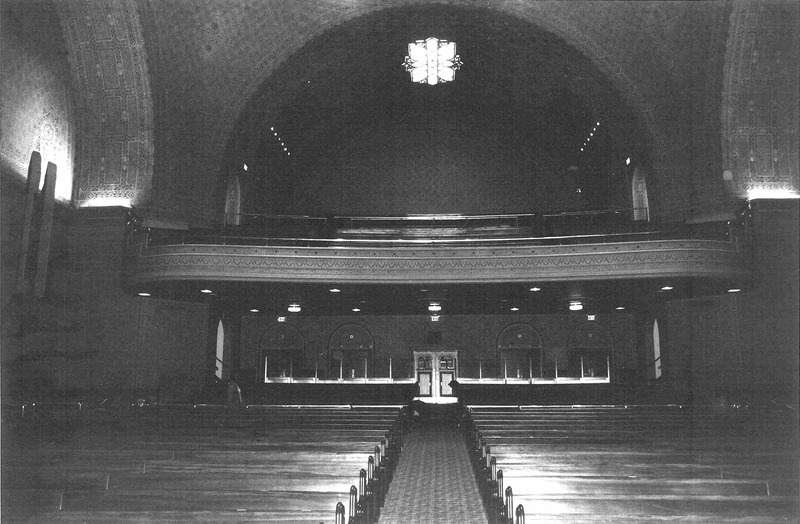 The synagogue was designed by the Philadelphia architecture firm of Simon & Simon. D’Ascenzo Studios, also a local Philadelphia firm, was the other significant contributor to the decorative design of the building. 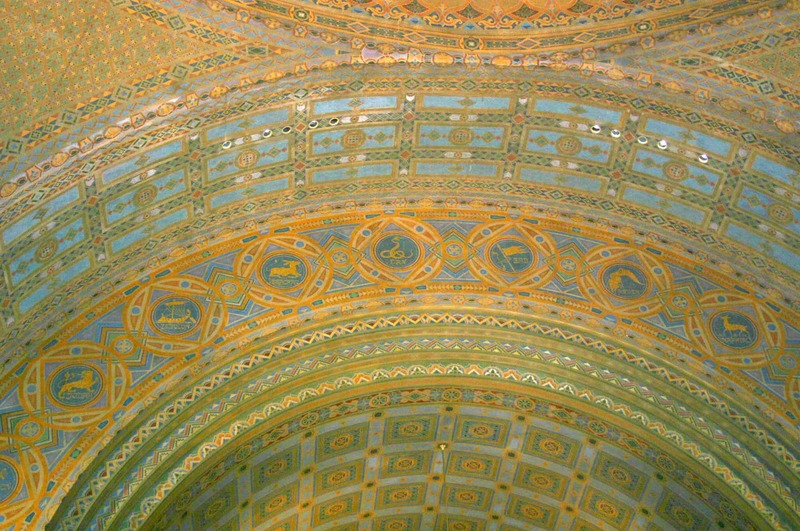 Although primarily known for work in stained glass and mosaics, D’Ascenzo Studios executed decorative stenciling throughout the interior of Rodeph Shalom Synagogue; the studio also designed the elaborate marble flooring in the vestibule and the exterior entry door mosaics. Powers & Company, Inc. was commissioned to complete a National Historic Landmark nomination for the building and provide guidance on the restoration of the intact exterior and interior finishes.